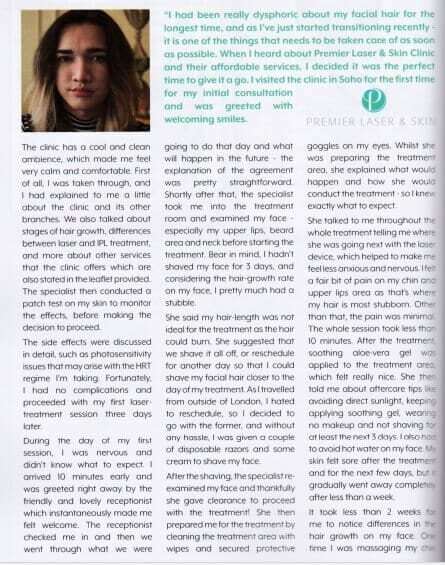 Read Alana’s Laser Hair Removal journey as part of her transition in Transliving Magazine! 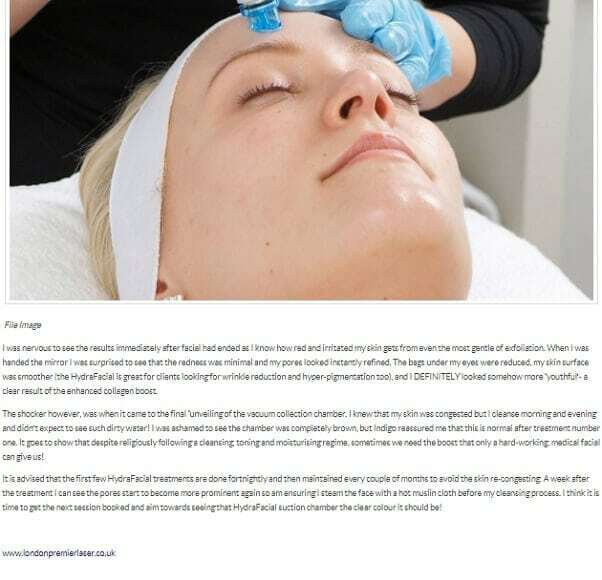 The lovely Danny Defreitas reviews the HydraFacial as the perfect cleansing facial for Spring! Groomed and Glossy visited our Notting Hill clinic for the revolutionary HydraFacial. Read the full review here! 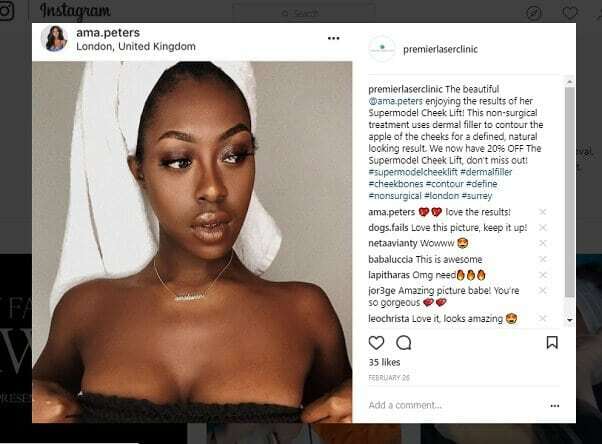 Beautiful blogger Ama Peters reviews the Supermodel Cheek Lift on her hugely popular instagram page! 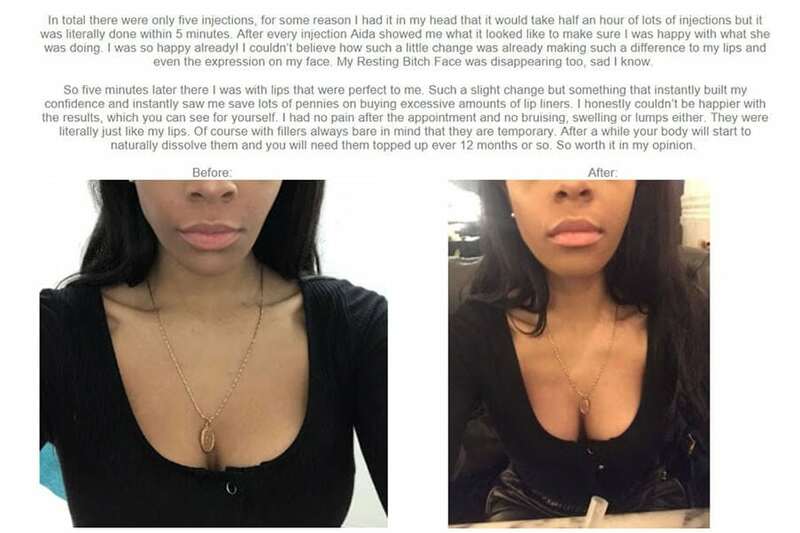 Beauty blogger Sarah Jo Holder discusses the stigma around Lip Fillers & her results at Premier Laser & Skin. 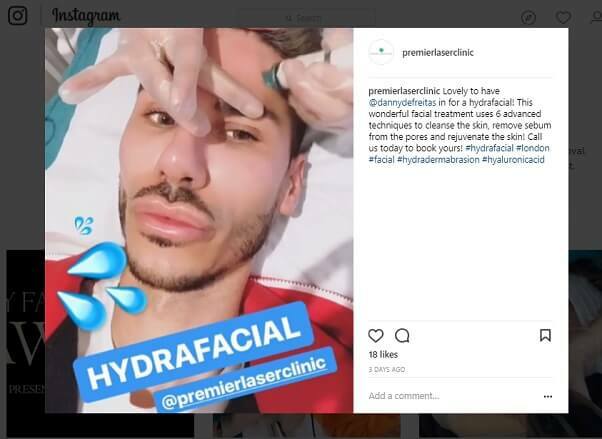 Blogger Life of a Blueberry popped into our Kingston clinic for a HydraFacial. 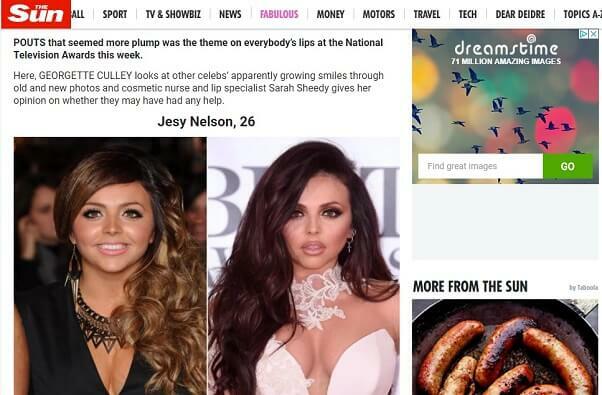 Premier Laser & Skin’s Aesthetic Nurse Injector Sarah Sheedy has been featured in The Sun today giving her expert opinion on celebrity injectable treatments! 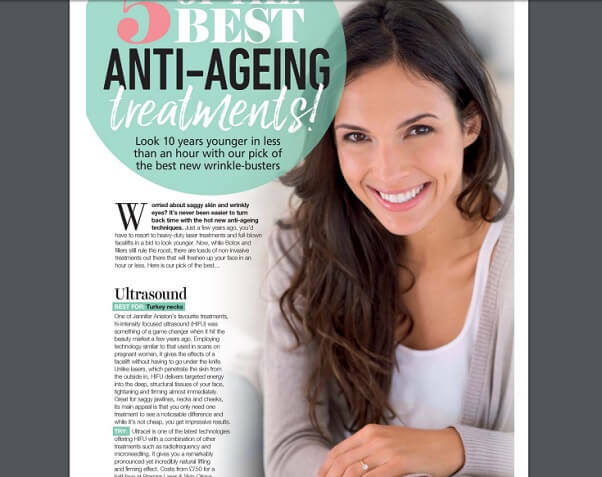 Health and Wellbeing magazine featured our brand new Ultracel HIFU non-surgical treatment for tightening, firming and contouring the face. 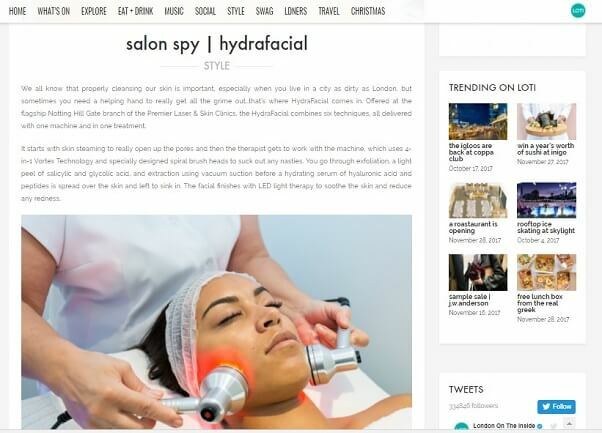 London On The Inside Salon Spy reviews the HydraFacial at our Notting Hill Gate clinic! 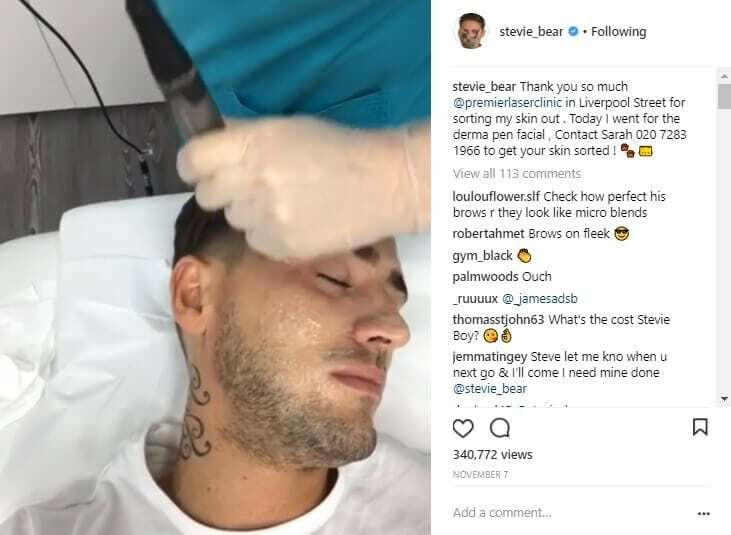 Stephen Bear visits our Liverpool Street clinic for his regular Dermapen Microneedling session! Hugely popular youtuber Anoushka continues her review of Laser Hair Removal in a new fascinating post! 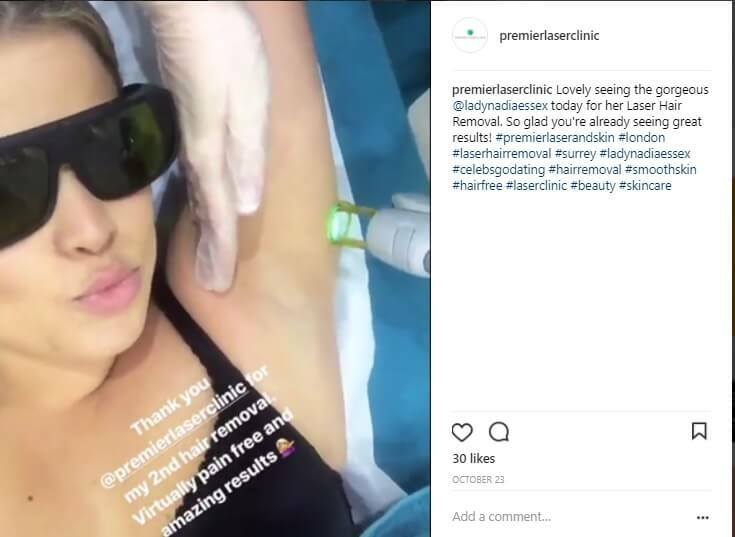 Celebs Go Dating star presenter Lady Nadia Essex posts about her Laser Hair Removal treatment at our Fulham clinic! Premier Laser Clinic has been included in the G Directory in Glamour magazine which is seen as a beauty bible for Glamour’s readers. The feature mentions the website and the phone number for Premier Laser. The theme was smooth-skin saviours – ‘Once the laser has blasted every single hair, a cooling gel will soothe skin and within weeks you’ll see a serious reduction in hair’. If there’s one lesson to be learned from celeb break-ups it’s this: never get a tattoo of your significant other’s name. Unless you’ve been married for a good five years. Premier Laser Clinic has confirmed what we always suspected to be true – that very, very few people are glad they got a tattoo of a boyfriend or girlfriend’s name – by releasing a list of their top 10 most requested tattoo removals. 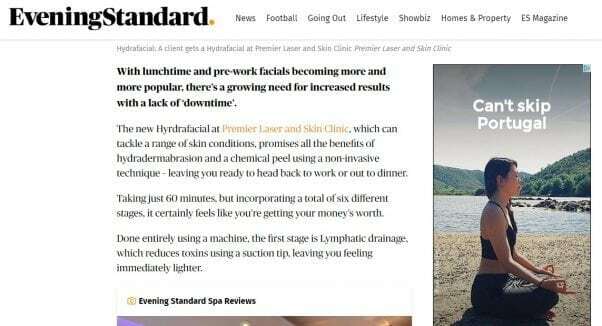 The Evening Standard reviews one of our favourite facials, the HydraFacial, at Premier Laser & Skin!